By selecting GEOCONCEPT technologies to complement its own Field Service Management platform, Majikan, a subsidiary of NovaVeolia, is providing a “turnkey” scheduling service for optimizing and tracking field technician callout rounds. Paris, 03 February 2016: GEOCONCEPT, the leading designer of geographical optimization technologies for professionals, is today announcing that Majikan, a specialist in managing multi-business field callouts, has chosen to incorporate Opti-Time round scheduling technologies into its global Field Service Management platform. The NovaVeolia subsidiary will thereby be offering a “turnkey” scheduling and technical callout tracking service based not only on the most advanced digital scheduling and mobility tools, but on a team of 150 multi-business schedulers as well. Majikan has developed a global Field Service Management platform comprising both modules developed in-house (work planning management, mobile application, activity monitoring and reporting) and GEOCONCEPT’s Opti-Time geo-optimization solution (from customer service schedule and appointment booking management to optimizing movements on the ground via the definition and consideration of business constraints). Majikan’s 150 schedulers help its customers to manage their schedules and optimize their technicians’ rounds. Possessing real business expertise, these schedulers add real value to the technology platform, which spans the entire Field Service Management value chain. Veolia’s water industry business in France is the first to benefit from the service being offered by Majikan, covering eleven million callouts annually and 6000 staff on the ground requiring scheduling each year to optimize maintenance rounds for the maintenance of water meters and networks, water production and treatment plants. 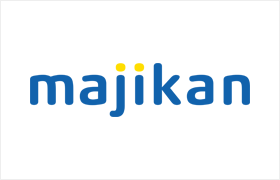 “We are delighted that Majikan has opted to incorporate our technologies into its global Field Service Management platform. Our scheduling solution’s algorithms will enable Majikan’s customers to increase productivity by more than 30%, while at the same time greatly reducing operating costs”, said Patrick Chauvel, GEOCONCEPT’s Sales Director. Created from the merger between GEOCONCEPT, Europe’s leading Geographical Information System publisher, and Opti-Time, which publishes software for professionals, today the GEOCONCEPT Group ranks among the world leaders in enterprise cartographic and optimization applications. Always at the forefront since it was founded in 1990, GEOCONCEPT combined geographical information and optimization tools to invent geo-optimization, or the optimization of activities by intelligently integrating geographical information into systems. Innovation is always at the heart of the Group's strategy with 25% of its expenditure dedicated to R&D. The benefits of geo-optimization apply to areas as varied as geo-marketing, territory management, crisis management or mobile workforce management… Within each area, the geographical optimization components and solutions can be integrated directly by the clients or by Group partners. The GEOCONCEPT Group has locations in Paris, Grenoble and Caen as well as foreign subsidiaries: Chennai/India, Geneva/Switzerland, Madrid/Spain, Shanghai/China. Strategic partners also resell the Group's solutions in London/Great Britain, Mexico City/Mexico, São Paulo/Brazil, Tokyo/Japan…The Group's solutions are available in 7 languages. Today the GEOCONCEPT Group boasts more than 10,000 reference customers at 100,000 geo-optimized resources in 35 countries.